I think we’re all pretty accustomed to the look of jackets with subtle low-contrasting pinstripes in colours like grey, navy and black. 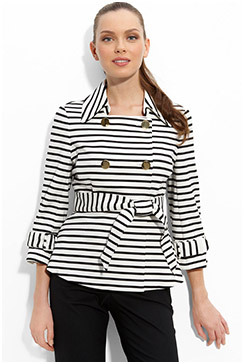 But what about a jacket with bold high-contrasting stripes like in the pictures below? Since bold stripes are especially big this season, we’re seeing them on all sorts of garments, shoes and accessories – not just on tops and knitwear. I vote yay on bold striped jackets. I’m more of a tipped jacket gal myself, but if the right black and white/cream striped jacket came into my life, similar to the Elizabeth and James style on the right, I’d work it. For starters I’d reverse the top portion of the Chanel inspired gal on the go formula. I’d also leave off all jewelry, bar my wedding ring. Wearing a bold striped jacket makes a sufficiently bold statement – no jewelry required. I would carry a red handbag for a pop of colour. Over to you. 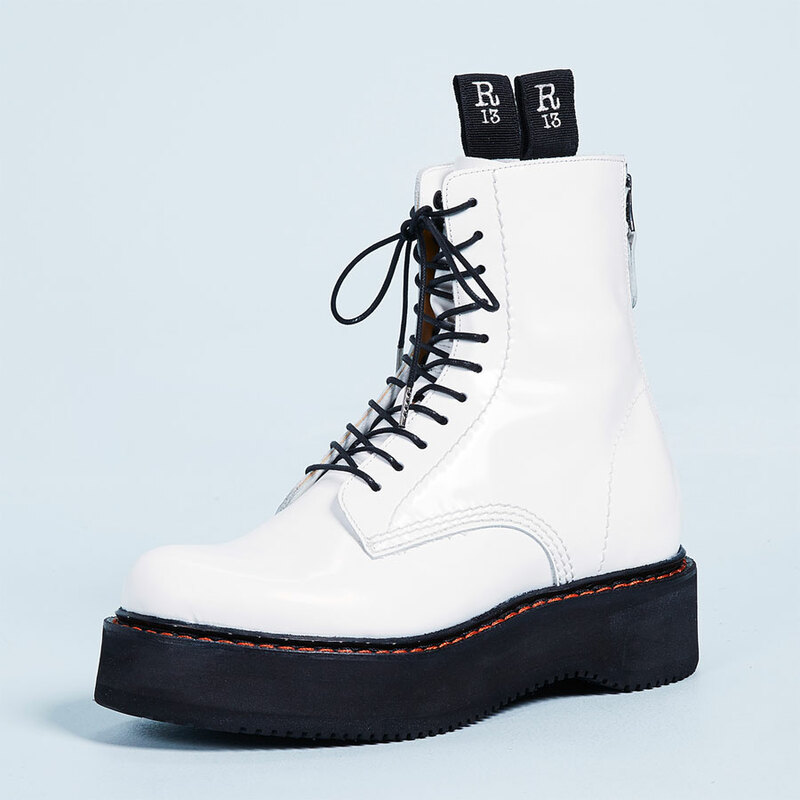 Do you vote yay or nay? Would you wear a bold striped jacket? If not, can you appreciate the vibe on others? I actually bought one of these from Anthropologie last year, but it never quite fit me right through the shoulders, and didn’t get worn. If I could find one that was both cute and a good fit, I’d buy it. Hhhmmmm…..it depends; do you subscribe to the notion that horizontal stripes are not very flattering on chunkier women, and might give the illusion of added pounds? I just find them to be the opposite of slimming, much as I love stripes. Absolutely yay, but that’s no surprise coming from striped-obsessed me;-) However it would definitely have to be absolutely right in every way (the Elizabeth and James one is gorgeous) and, like you, I would only wear it in a very minimalist way. Noticed these last spring and liked them. I have a very cropped jersey blazer that’s black with vertical grey stripes. 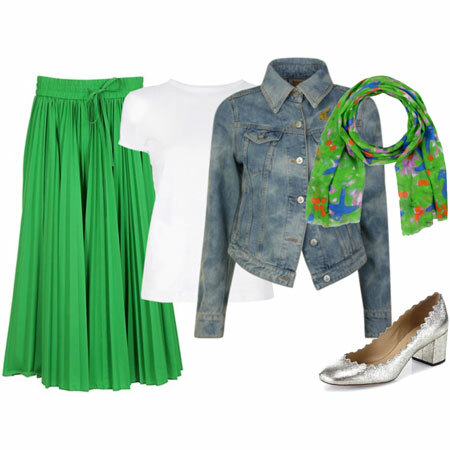 It’s cute with a denim skirt. Inge, I like the sound of your blazer/striped sweater combo! I would absolutely sport the right one if I found it. I’m liking blazers more and more, and plan on keeping them in my wardrobe. 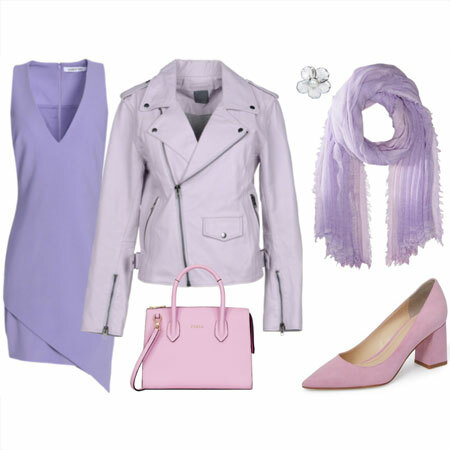 I am besottd with this look and bought the JCPenney Allen B jacket when the price dropped…also bought the ruched black and white top shown in Kasmira’s link. Still too early weather-wise to wear, but hope to start wearing in a few weeks. Nay for me- not a look I would wear but can appreciate it on others. I like the look with a simple layering top like in the first and last jacket. I love the last one with all black underneath. It really sets the jacket off beautifully. I would also like to see bolder stripes. The all horizontal stripes is not the most flattering look. I think dark hair and/ or dramatic looks such as having angular feature and a geometric haircut would be needed to really pull this off. Of course this look suits Angie perfectly! I’m broad-shouldered, petite, and short-legged, so definitely a no for me! I think they’re ok, but prefer the look of striped shirts. Nay for me, I don’t like them enough to make the investment for my closet. Of the post photos, the only one that holds any appeal to me is the “I’ll Get You Jacket.” I like my stripes in smaller doses I guess. I love the “I’ll get you” jacket. The placement of the stripes is genius. Kasmira, I’m going to JCP today to try on that Allan B. jacket – I have a $15 coupon! From the sizing chart, looks like it runs a bit small. I would totally wear all the jackets pictured! Absolutely yay from me, I love stripes and find blazers the perfect way to add polish as a MOTG. Love them! I would love a pair of stovepipe striped trousers too (not to wear with the striped jacket). Most likely nay. The ones in the pictures don’t appeal to me. They remind me of more casual striped tops. I love the bold stripes on tops. Perhaps I’m just lacking imagination on how they might actually work well as a jacket. I also wonder if my petite frame would get overwhelmed by them. Another yay from me. I especially like the Elizabeth and James version. As much as I love this, I will be sitting this trend out. I have enough fit issues with jackets and adding stripes to the mix would probably induce s a stroke. I do love the look on others though. It’s darling. I can’t wait to see this in some WIW’s! I vote nay for me. At first I really liked the look of these, but they are a statement piece to me and I like to wear my blazers often. I would want one that wasn’t as memorable and can be worn often with remixing. I feel with one of these, everytime you do wear it, it will be noticed, so you may not wear the jacket as often. This look would be a yay from me except that there may not be room in my tiny wardrobe for a piece like this that I don’t see remixing well. I do love the look and would definitely try on most of these jackets. A total Yay. I love stripes and in fact, I decided after your Chanel post that I need to up the striped tops in my wardrobe. Lately, I have seen posts and magazine pictures everywhere of cute summer striped tops. Now the striped jacket — I love them all and would definitely wear them. As a MOTG who lives in jeans, I could totally see this with a great tee or other shirt, my jeans and cute bag. Alas, they only have it in a medium right now, which is the only thing holding me back. Kasmira-Thatt Allen B. jacket is a great find; the cut is absolutely phenomenal! Definitely let us know if it goes on sale further and you get it (pictures too, please)! Hooray! I have been eyeing the Elizabeth and James blazer for a few weeks….Great post. Yay from me! I love the bold stripes, not quite sure they would love me back though, but if i come across the right one i will give it a shot! I love the bottom four except the belted version. I think I want the khaki one most! So yes, a huge yay for me. Coming out of lurk mode to say YES! A few weeks back I bought a black and white striped cropped jacket from H&M. The stripes are bold and vertical, not horizontal. I thought it was so cute! 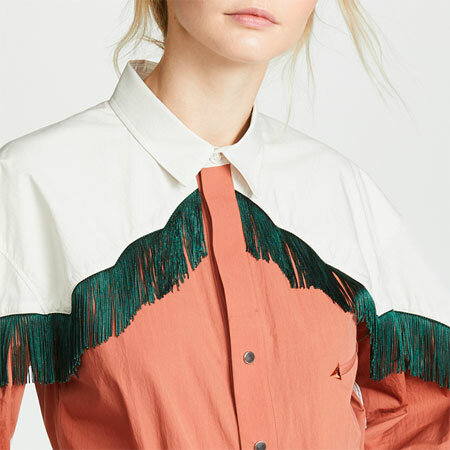 I have yet to wear it – I picture wearing it with a black top and black skinny ponte knit pants, with cobalt blue ruffled suede platforms as the pop of color. But I would also add the 60 inch pearls, triple wrapped. However, when I modeled the outfit, my husband said I looked like Beetlejuice. Yay! I tried a couple of striped jackets but haven’t found what I’m looking for yet. I’d like a sweater blazer that is washable but if I can’t find one I’ll opt for a striped cardi instead. Yay! Still looking for just the right one! I love the Nanette lepore (of course I’d like a $400 one!) but overall not something I’d wear. I don’t even own one striped shirt. I’ve had only 3 or 4 over the many years. Occasionally I buy a striped sweater but no jackets for me, thank you. I will appreciate this on others for the season. I like the look, but not for me. I’m so broad shouldered as it is and anything with stripes tends to make me look even bigger. Thank you Laura, I will post a picture after my current deadline. I’m undecided. I love the Nanette Lepore one (but I pretty much love everything she makes!) but don’t like the others you’ve shown. It’s not so much the stripes I object to, it’s more the style and fit – seems to be more of a classic/Chanel vibe which is not my style at all – but a less traditional stripe pattern and shape (like the Nanette) might make its way into my wardrobe. They’re cute, especially the belted one, but I don’t think a horizontally striped jacket would suit my petite frame at all. I can see it making me look very broad. So “Nay” for me. I vote nay. I like some stripes, as in soft Missoni striped knits, but not in a structured jacket. It feels a bit clownish to me. It could be tricky to find the right combination of cut and stripe placement for my hourglass/pear shape, but overall, I like the look. That Nanette Lepore jacket particularly speaks to me — if I were going to do this look, this is how I’d do it! I vote yay – I already have a boldly striped Ben Sherman blazer, so that’s convenient. However, I wish more of these styles had vertical striping, like the Nanette Lepore option linked. I really don’t like high-contrast horizontal stripes! I certainly can see you looking great in the bold striped jacket Angie. I would wear the one with the less contrast in colors though. Thanks for bringing these into our radar. The look like knit and that looks very comfortable. I can certainly appreciate the look on others. I like the last 3 best. However, I think I’ll wait a while and see where it goes…. Las t week I was about to buy one chanel-esque with stripes! Loved! Last week I was about to buy one chanel-esque with stripes! Loved! Earlier today, I would have said, “cute trend, but not one I’ll try…”. But, I went to Sears this morning to look at kids’ shoes, and spotted one of these blazers for $10.00! Nicely made, to boot. For $10, how could I not go “yay” on this one? I had a gorgeous striped blazer way back in the 80s, but I have to say I’ve been looking at them again for a couple of years. I don’t actually love any of the ones pictured, but if I see the right one for me, I’ll definitely take the plunge. Yay for enjoying on others, probably Nay for me unless the right lower contrast happens to show up. I haven’t even found the right striped tee yet. I like the Elizabeth and James style the best but it would be too much stripe on me. The Gyro jacket is tempting. Thank you for alerting us to this trend. Those are super cute and I love the look on others, however I am just not a fan of stripes…..it would have to really be the right piece for me! In general I vote nay. It just looks too busy to me, but I am sure you could make it work, Angie. I just love this look and that Nanette Lepore jacket is wonderful. Too bad it’s not in my budget. Yay from me! Goodness, yes! I love these and if I could find one that fit my shoulders, I would be all over it. I think they’re fabulous! I especially like the J Crew one above. Nay nay nay for the horizontal stripes, especially oversize like the first. Yikes, hello Alcatraz. But I would wear a vertical or diagonal striped one that was fitted, like the last example. I like it! BUT (and this is my own personal hang-up) as soon as I see a trend go main-stream (like stripes have this spring!) I am turned off and ready to move on to something else. Also, since I am STILL (sob!) shopping my closet, stripes will probably be long gone by the time I stick my head up out of my own wardrobe and look around for something to buy! It would probably be a luxury purchase because it would be very memorable, therefore not worn much. 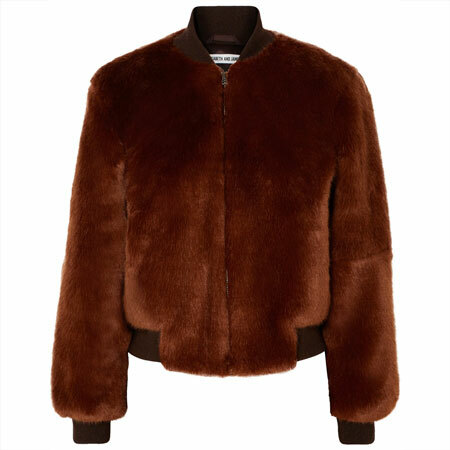 Only a few lucky ladies with the perfect feminine features could wear this horizontal style jacket successfully. That NL one stole my heart. I saw the one Shiny mentioned and regret passing it up. I would definitely wear this if the right one ever found me. I like some of them, but it’s going to depend a lot on the stripes and the fit. Not going to be the kind of thing I can buy online. A big nay from me. Am I the only one who gets dizzy looking at these? I will enjoy seeing others play around with them, and will certainly enjoy seeing Angie sport one, but striped jackets are not for me. I do covet ~ and I mean COVET ~ the amazing striped Talbots top Angie blogged about, so I do love some stripes. But when it comes to jackets, leave me be with my adoration of tipped styles. 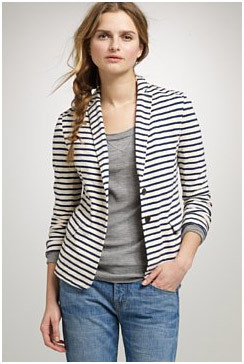 Sigh… I love the Maritime Striped Jacket from J Crew. Looks so wonderfully summery and comfortable with those distressed jeans. A nay for me. I am petite and have broad shoulders but love the look on others. Oh oh oh. I have one, denim blue boyfriend jacket with a very subtle stripe. I, too, love this look on the right gal. I’m of the opinion that bold stripes like this do look best on women who have other striking, bold features. This way, you notice the woman and not the jacket coming at you! My goal, as I get older (and, hopefully, better at all of this!) is to wear things that support my own unique look and personality so that I am out front and not my clothes! Still, it is a very “simply chic” look that I appreciate!